Tourist passes are not the be-all and end-all of Japan travel. Most passes are only good if you’re taking multiple journeys within a specified period. In many cases, you might not even need a pass because some attractions lie close to each other and they can already fill a full day’s itinerary. 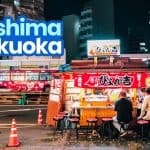 A good example is Tokyo’s Shibuya area, which is where the Meiji Shrine, Yoyogi Park, Harajuku’s Takeshita Dori, and Shibuya crossing are located. You can see all these just by walking. Sometimes, you can get the best deal by NOT buying a pass at all. There are no perfect passes. All passes come with restrictions. Some are only accepted in one or two areas. Some are accepted only by one or a few specific railway companies. Example, in Kansai Region, the JR West Kansai Pass only works on JR lines, while the Kansai Thru Pass can be used for any line in the region except JR. These are merely suggestions. The right pass for your trip depends on your itinerary. The best thing to do is to check each stop, find the nearest stations, and check which pass is the most suitable. But if you don’t have time for that, here are the passes you will most likely need if you’re visiting the most usual attractions. Bring your passport when purchasing or claiming passes. Most passes are only available to foreign tourists so you will need to show your passport for verification. Book these passes in advance. These passes are more expensive when purchased in Japan because they’re really meant for foreign travelers. Fortunately, most of these are available on Klook so I’m also providing links to Klook below. Take note of the validity periods of the passes. You can maximize the pass by building an itinerary around it. You don’t have to use the pass on your first day in Japan. For example, for regional or nationwide passes, start using the pass on the day of your first long-distance travel then make sure that all the other long distance journeys are within the validity period. For example, let’s say you’re using a Nationwide JR Pass and you’re visiting Osaka, Tokyo, and Sapporo over a period of 10 days. If the first 3 days will be within Osaka or Kyoto only, don’t use the JR Pass yet. Use it on Day 4 when you decide to travel to Tokyo or Sapporo. These are just based on what I know. Of course, what I know is limited. (I don’t know everything!) Like I said, I’m creating this post so I have something to point to when I’m asked for my recommendations or opinion. So if you feel like you want to correct or add something, sound off in the comments section. But be nice. I’m pretty sensitive. Hahaha. Jk. 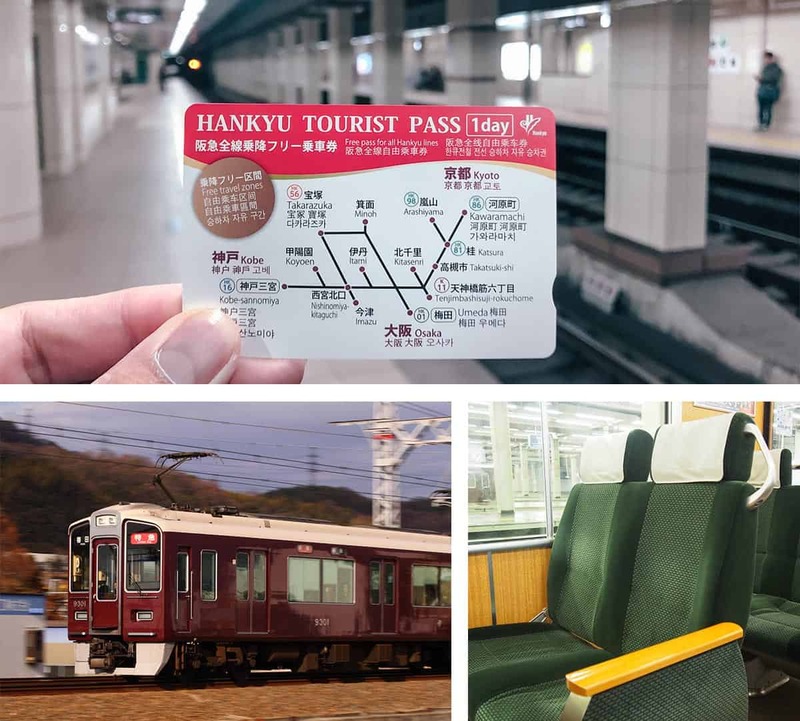 The Hankyu Tourist Pass will grant you unlimited access to Hankyu Railways which connects Osaka and Kyoto for only ¥800. 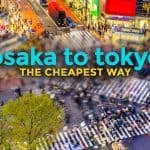 To compare, without the pass, the price of the regular roundtrip ticket to Kyoto alone is the same or higher. The Hankyu Tourist Pass covers that already, which means the cost of all the other rides you make become part of your savings! The pass comes in two variants: 1-Day, which normally costs ¥800, and 2-Day, which costs ¥1400. But currently, there is a promo that cuts the price of the 1-Day or 2-Day Pass for only ¥700 and ¥1200 respectively. You can also purchase online via Klook! ✅ GET YOUR HANKYU TOURIST PASS HERE! Kyoto-Osaka Sightseeing Pass. 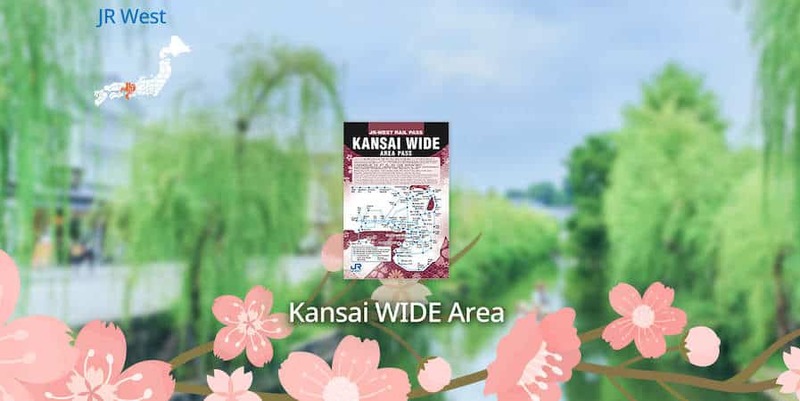 It will enable you unlimited use of the Keihan Line (which also connects Osaka and Kyoto and other tourist sites within the city) and Otokyoyama Cable Line. There are also special discounts at some attractions. ✅ RESERVE THIS PASS! Kyoto-Osaka Sightseeing Pass. 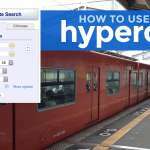 This will enable you unlimited use of the Keihan Line (which also connects Osaka and Kyoto and other tourist sites within the city) and Otokyoyama Cable Line. There are also special discounts at some attractions. ✅ RESERVE THIS PASS! Hankyu Tourist Pass. This will grant you unlimited access to Hankyu Railways, which connects Osaka and Kyoto including the famed Arashiyama district, for only ¥800 (¥700 since there is an ongoing promo). You can also purchase online via Klook! ✅ GET YOUR HANKYU TOURIST PASS HERE! Kyoto City Subway and Bus Pass. This allows unlimited access to all subway lines and City Bus lines operating within Kyoto, as well as access to some Kyoto Bus lines and some Keihan Bus lines. Note that this is limited to the Kyoto City area only. This costs ¥900 and ¥1700 for 1-day and 2-day passes respectively. It’s not yet available on Klook but you can purchase one at any subway station in Kyoto. Hanshin Tourist Pass. This gives the holder unlimited access to the Hanshin Main Line, which connects Osaka and Kobe, and all other Hanshin and Kobe Kosoku lines. The card is valid for one day. The pass normally costs ¥700. But is an ongoing promo and you can avail of it for only ¥500. ✅ GET THIS PASS HERE! Rokkosan Tourist Pass. This pass isn’t unlimited but it covers the entire journey from select train stations in Kobe to Mt. Rokko Mountaintop Tourism Area and back. The pass has five tickets attached to it. Each time you’re disembarking, you must tear the ticket off and hand it to the driver. The pass costs ¥1000. ✅ GET THIS PASS HERE! If your trip is only 3 days and you’re allotting one day each for Osaka, Kyoto, and either Nara or Kobe, get a KANSAI THRU PASS. This assumes your entry and exit point is Kansai Airport. If your trip is only 4 days, get a KANSAI THRU PASS and use it on Arrival Day, Nara Day, and Departure Day. On that 1 day that you’re not covered by the Kansai Thru Pass, use a HANKYU TOURIST PASS and visit Kyoto or Kobe. 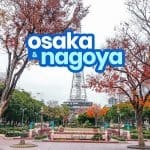 Another option is to visit Kobe or Kyoto on either your first or last day, whichever has more time, and just use that non-covered day to explore Osaka and use an OSAKA AMAZING PASS. If your trip is 5 days or longer and you don’t want to schedule a day trip to another city on your first or last day, get individual city passes. If the only attraction you’re checking out in Nara is Nara Park and its deer, don’t get a pass for the Nara leg. Just buy a regular ticket to Kintetsu-Nara Station from Osaka. Then use Osaka Amazing Pass for the Osaka leg and either a Hankyu Tourist Pass or Keihan Sightseeing Pass for the Kyoto leg. 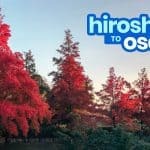 If you’re visiting several attractions in Nara, get a 2-Day Kintetsu Rail Pass, which already covers Osaka, Nara, and Kyoto. It also covers bus routes within Nara and within Kyoto, so you can also explore these cities more. Then, if you’re exploring more of Osaka in other days, use an Osaka Amazing Pass. Hankyu Tourist Pass. Unlimited access to Hankyu Railways, which can take you to key spots in Kyoto. Available in 1-day and 2-day versions. ✅ GET THIS PASS HERE! 2-Day Kintetsu Rail Pass. Unlimited access to Kintetsu Railway network in Osaka, Kyoto, and Nara. ✅ RESERVE THIS PASS! Within Nagoya, use either Meguru 1-Day Bus Pass or the 1-Day Subway and Bus Pass. Most key attractions within the city like Nagoya Castle and Sakae Shopping District are along the Meguru Loop Bus. If you only have 1 day to explore, this should be enough to fill a day’s itinerary so get the Meguru 1-Day Loop Bus. But if your itinerary is a combination of attractions close to both SUBWAY and BUS stations, then get the 1-Day Subway and Bus Pass instead. For inter-city travel, use a 5-Day Kintetsu Rail Pass. 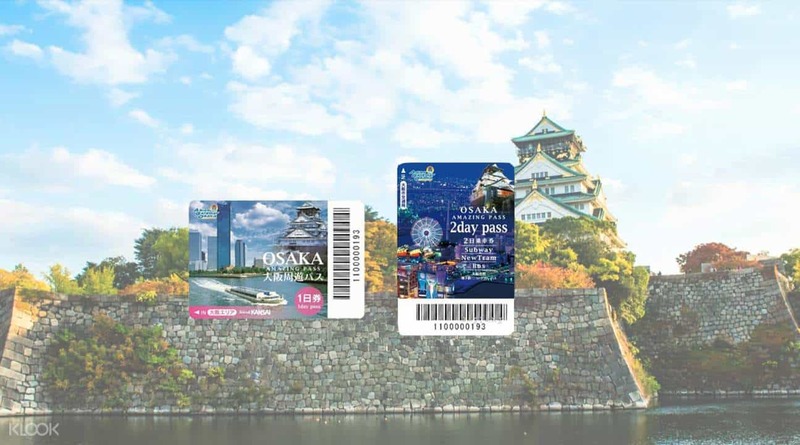 The 5-Day pass covers Osaka, Kyoto, Nara, and Nagoya. With this pass you can even reach other cities in between like Iga Ninja City and Ise City. Even the Nagashima Resort (including the Nabana no Sato Flower Park) is covered by this pass. It also comes with discounts on several establishments and attractions. ✅ RESERVE THIS PASS! Narita Airport > Tokyo > Kyoto > Osaka > then travel back to Narita Airport. Kansai Airport > Osaka > Kyoto > Tokyo > then travel back to Kansai Airport. JR Hokuriku Arch Pass. 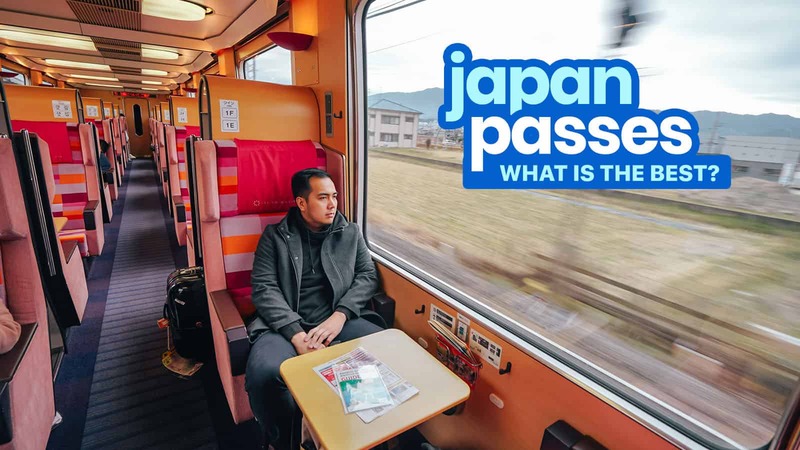 This pass will give you unlimited access to the Hokuriku Shinkansen, which connects Tokyo to Kanazawa, and the JR network connecting Kanazawa to Kansai Region including Osaka, Kyoto, Nara, and Kobe. It also covers JR lines to and from Narita, Haneda, and Kansai Airports. Valid for 7 consecutive days. ✅ Check Rates or Reserve Here! Nationwide JR Pass (Whole Japan). This pass covers the entire JR network throughout Japan. If you want to visit other cities, you can too. It’s slightly pricier than the Hokuriku Pass but the coverage is much wider. ✅ Check Rates or Reserve Here! Tokyo Subway Ticket. Gives you unlimited access to all subway lines (Toei Subway Lines and Tokyo Metro Lines only, NOT accepted on JR Lines). Cost: ¥800 for 24 hours, ¥1200 for 48 hours, and ¥1500 for 72 hours. ✅ Reserve Here! Mt. Fuji Pass. This gives you unlimited access to a lot of transportation systems around Mt. Fuji including Fujikyu Bus, Fujikyu Railway, and hop-on hop-off buses. It also comes with FREE entrance to some attractions including Fuji-Q Highlands, Grinpa Amusement Park, and Kachi-Kachi Ropeway. ✅ RESERVE THIS PASS! Meguru 1-Day Pass. This pass will grant you unlimited rides on the Meguru Loop Bus for one day. Cost: ¥500. 1-Day Subway and Bus Pass. This is a special ticket that will allow you unlimited access to city buses and subway lines for a day. Cost: ¥850, adult; ￥430, child under 12. If you’re only interested in the subway and NOT the buses, here are the rates: ¥740, adult; ￥370, child under 12. Donichi Eco Kippu (Weekend Eco Ticket). This will enable you unlimited access to subway lines and city buses on weekends, holdays, and the 8th day of every month (Environmental Conservation Day). Cost: ¥600, adult; ￥300 for child under 12. 3 Day Pass: Takayama-Shirakawago-Kanazawa Course. This bus pass enables unlimited travel on highway buses to and from the airport, Nagoya, Gifu City, Takayama City, Shirakawa-go and even as far as Kanazawa and Toyama. Price: ¥7500. 5 Day Pass: Wide Course. 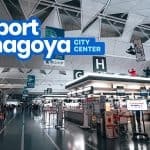 This ticket gives you unlimited access to both highway buses and route buses to and from major attractions like the Central Japan Airport, Gifu City, Gero City, Takayama, Gokayama, Shirakawago, and Shinhotaka. Aside from these, Toyama, Kanazawa, Matsumoto, and Takaoka are also covered.